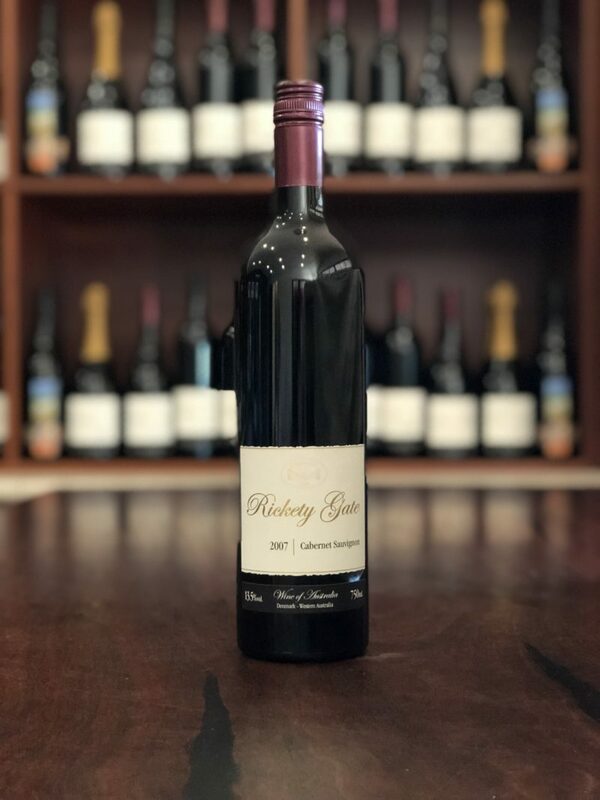 Nose: Strong briary and forest floor aromas on opening that translate to dark brooding fruit flavours of Blackberry, Prune and Sweet black tea with gentle decanting for around 1 – 2 hours. Palate: An exceptionally elegant structured palate, with intense flavours with a clean lingering finish. Finish: Rich, ripe blackcurrant fruit and soft tannins combine seamlessly to provide enjoyment beyond words. 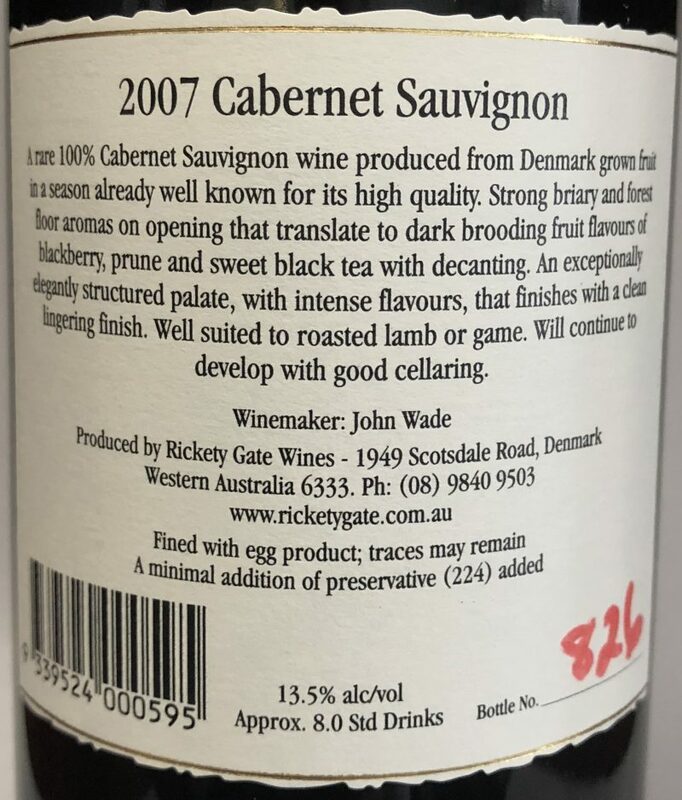 A rare 100% Cabernet Sauvignon wine produced from Denmark grown fruit in a season already well known for its high quality. Strong briary and forest floor aromas on opening that translate to dark brooding fruit flavours of Blackberry, Prune and Sweet black tea with breathing. An exceptionally elegantly structured palate, with intense flavours, that finishes with a clean lingering finish. Well suited to Roasted Lamb or Game. Will continue to develop with good cellaring.